I worked as Property and Casualty Claims Set-up Specialist before, the company provided intensive training to understand all the terminologies and sample cases to identify liability, legal cost or personal injury claims. During process of claims, i begin to realize the benefits of having an insurance coverage of any type to support financial losses. Its good to have a well-informed decision before getting yourself or your property insured. First thing to consider to determine whether or not you need a coverage is your age. Try checking out National Insurance Company that provides detailed information on insurance needs, a one stop Insurance Resources site. 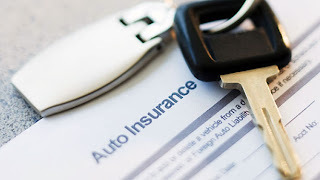 Its crucial to make a wise decision on getting insured not only relying on what's the cheapest insurance premium offer but keeping in mind having the best possible coverage to meet your needs. Its advisable to get a free insurance quotes first (get as many quotes as possible!) for you to find the best policy that can save you a lot of money. One should be properly educated to effectively use the right asset management and enough liability coverage. If you're driving, find a reputable but Low Cost Auto Insurance that will cover personal or up to third party injury including property damages protection. In this type of insurance, expertise and experience in driving is the top factor to carefully determine what to include on your policy. On some locations, vehicle is required to be insured. Do some research on insurance companies, their rates vary and some offers discounts when you get two or more policies. It really pays to shop around first not to regret paying premium coverage that you don't actually need. However, when discussing with your agent, its ok to decline certain coverages which you honestly think you might not need. The key on getting the best policy is to fully understand the insurance coverage. Insurance company website is a good start to know more, it can accommodate all the questions discussing all your insurance needs. Low cost auto insurance? Maybe this is the one I need so that I can now buy my own car. Good consideration. My husband discontinue the auto insurance coverage from the 1st owner of our car. But if i learn to drive, i definitely look for a low cost auto insurance to meet my needs.